When life ceases to make sense to our natural minds and we find ourselves at the intersection of pain and suffering, we begin to ask where God is. 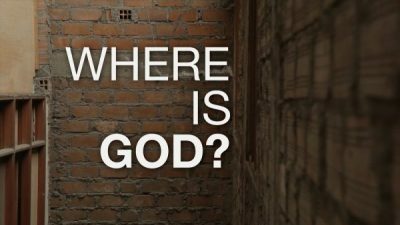 Our belief system seems to suggest that the presence of a problem implies the absence of God. For the Atheist and unbelieving person, it further strengthens the argument that God is just a fantasy made up by the irrational man or woman. For the religious person, it’s an indication that morality and right standing with God has been compromised. But for the believer, it’s something slightly puzzling. Problems or suffering could be somewhat confusing for them, as they try to figure out where God is in all the mess they are in, or around them. The later therefore find themselves at a point where they are trying to evaluate if a good God could have allowed what’s happening to them or whether he’s unperturbed by their issues. I think our sometimes-flawed theology is one reason we ask this question of where God is when we find ourselves navigating a rough patch in life. It deludes us into thinking that we are exempt from trials, pain and tribulations, just because we are followers of Jesus. This is a lie some have been sold or have bought into, as it appears to suggest that bad things don’t happen to good people. This has caused some people to become disillusioned, to quit the faith, and it’s the reason some people are judged harshly by the same people who should support and uphold them in their time of need. I understand our human need to rationalise the concept of a good God as one who always spares us from pain. The truth though is Jesus, whom we follow did not promise us that life would be a bed of roses. He himself was a man acquainted with grief and sorrow. He promised us that in this world we would have tribulations but overrides this with an encouragement and assurance that he has overcome the world for us (John 16:33). So what can we learn from setbacks, disappointments and pain? 7	Trials, pain and suffering qualify us to become the extended hands and feet of Jesus. If we share in his suffering then we will share in his glory. It also means we can empathise with others and comfort them with the same comfort that we have received. Therefore whenever you are tempted to consider your messy situation or the difficulties experienced by others as an indication that God is absent, think of these things above. Does that mean God causes trials and problems, of course not, and does that also mean that it’s pleasant when we go through challenges? A resounding no, especially when we feel wounded by others, or can’t make sense of our suffering. Nevertheless, in all these things we are more than conquerors through Christ who strengthens us. Furthermore you will be amazed at how much, in spite of what life throws at you, you can still thrive and be a blessing to others. No one can take others to where they’ve not been themselves, and as such we must remain strong knowing that the times when God seems remotely far, is when He’s closest. We may not feel Him or be able to see Him, yet He’s using the very same thing that’s defeating us to stage our triumph. Exactly seven years ago yesterday, I was at one of those crossroads myself when I began writing the echoes of my whispering heart journals. Not knowing if I was qualified to provide any encouragement to others through my reflective journals, but I proceeded anyway. The growth and the opportunities that God has used those painful experiences to engender have been phenomenal and at the same time humbling. My character has been developed in more ways than I could imagine, and a ministry was born out of what was meant to break me. Whilst in my view, not all pain leads to a the advent of a ministry, however no real ministry can emerge or develop without some painful experiences. The lessons learned from such experience(s) is what gives the ministry a real sense of purpose. As I reflect on the past 7 years, I would like to encourage you to hang in there if you are going through a difficult time, causing you to ask the question, “where is God?” God’s not dead or gone on a sabbatical leave. He’s surely alive and well versed on the subject causing you pain and anxiety. Just keep your trust firmly on Him and He will make all things beautiful in His time. He won’t be a tad too late to come to your rescue.